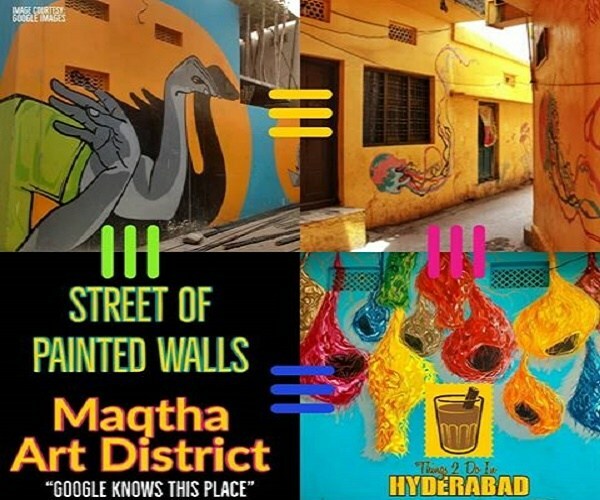 Transforming the concrete canvases into various expressions and giving the space an interesting visual metaphor rendered in vibrant hues, ‘Maqtha Art Festival’ makes a comeback for the third time to create more dialogues wrapped with multihued ideas around the massive walls. 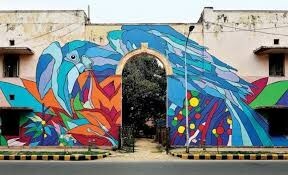 Initiated by St+Art India with support from Asian Paints and Krishnakriti Foundation, the festival is all about being colourful, emotive and powerful. 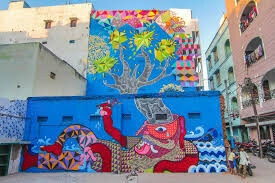 And, this year, three artists from three countries have been assembled by the foundation to brighten up the lanes with their brushes; Manolo Mesa from Spain, Rouge from France and Ness Lee from Canada. 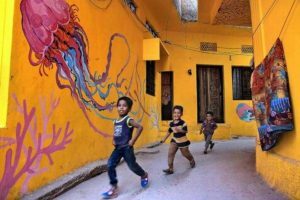 Armed with a fresh batch of paints on the streets opposite to People’s Plaza on Necklace Road, the artists have already geared up to transform the residential blocks of MS Maqtha with an artistic touch. While one of them, Manolo, has already left the city after giving a shape to his artwork with blue shades, we catch up with the other two artists to understand their artworks. ALSO READ: Can 'Left Parties Citadel Khammam' LS Seat Get Into TRS Bag In This Elections? ALSO READ: Have You Tried A 'Summer-Friendly' And 'Sweat-Free' Mattress Yet? Pointing out the series of works done by other artists, Karan Kaul, assistant curator of St+Art India, narrates how the people of Maqtha, who used to be sceptical at the beginning, have become helpful and supportive in converting those faded walls into some kind of stories. ALSO READ: How Hyderabad Medical Colleges Awarding MBBS Degrees Without Mandatory 'House Surgeon Training'? Whether you’re a stranger or a local, the good news is that there’s no ticket to be paid to just stop by. 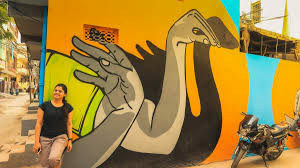 So, get yourself to the gullies of MS Maqtha and witness the gritty graffiti and big-eyed caricatures. 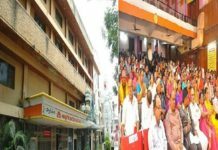 Also, the buzz of festival will continue till April 8. 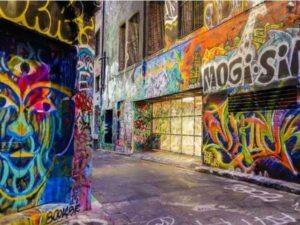 So, if you’ve have not taken a stroll around this art district, this is the time.